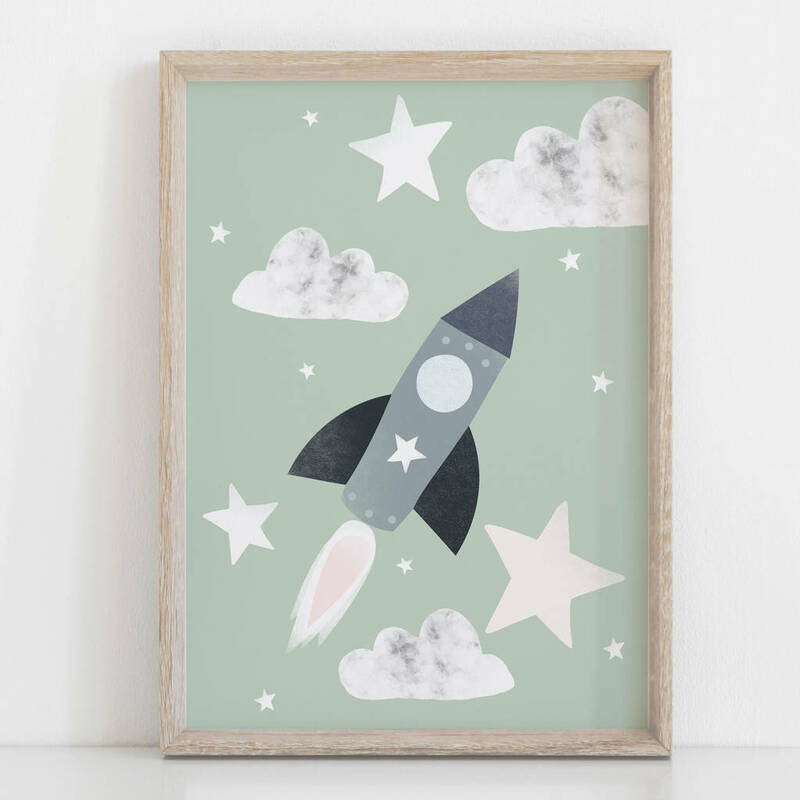 A stylised muted colour palette illustrated star and moon Children's print. Hand illustrated and finished digitally with hand created markings. Buy as a centre piece for your modern and minimalist nursery or playroom, completely on trend. Please note, the above photo is a suggested presentation of how you could display your lovely print! Our designs come to you protected and flat ready for you to find the perfect frame! This product is dispatched to you by Rory & The Bean.